In the wake of the Newtown, CT, shooting, school safety has been on the minds of parents now more than ever. And while the best precautions cannot prevent every tragedy, preparation can go a long way to making your child feel safe and comfortable at school. What do you need to know in order to assess your child’s school and make their learning experience a positive one? The following are 14 tips for school safety. Teach children the rules of the road and how to deal with strangers. Practice walking to and from school or the bus stop, avoiding dangerous areas. Teach children to wait on the site of the road until the bus stops and, when crossing the road, to cross at least 10 feet ahead of the bus so the bus driver sees them. 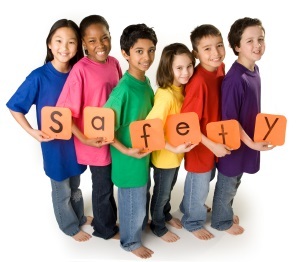 Once your child reaches school, the safety concerns are not over. Bullying and fighting are commonplace. According to National Safety Council, the U.S. Department of Health and Human Services defines bullying as an aggressive behavior that is intended to cause harm or distress, occurs repeatedly over time and involves an imbalance of power or strength. Bullying can take many forms: emotional, verbal, nonverbal, physical, sexual and cyber. Children who have been bullied don’t always tell an adult. They often have physical and emotional symptoms, and the psychological impact can last into adulthood. What can you do if your child is a victim of a bully? Ask plenty of questions. Be sure to find out all the details of the situation then report it to school officials. Teach children to stand up for themselves by reporting bullying when it occurs whether it is directed at them or someone else. Become involved in your child’s school, get to know the teachers and attend meetings. If there is no school organization available for violence prevention, begin one. Teach your children not to be a bully by explaining the consequences of such behavior. The content form should contain information about the trip’s location, the date and the times of arrival and departure. You should also be asked to provide contact and emergency information along with the signed consent form. School administrators should ensure there is a correct adult-to-child ratio and that all children are accounted for at all times. Children and teens also can be the victims of violence, identity theft and bullying even when they are not in school. These attacks happen online. For more information on this topic, please visit our article A Parent’s Guide to Social Networking in 2013.